Here is the LTC issue, if it cost $250 a day X 365 days a year X 2 people that is $182,500 a year needed for a care facility. Sam.The answer to your question depends on a lot of things like where you live, your income, your assets and who actually owns them (you, your wife, or jointly) and who do you wish to benefit when you die? A lot of people bypass LTC insurance for a lt of good reasons but I think you would benefit from meeting with a fee only financial planner and having a financial analysis done to see just how much you can afford to self insure. Find an advisor at www.napfa.org. Hey Sam. Wow, that's a great question and probably difficult to answer here, but I'll give it a shot. Do some research on the cost of facilities in your area, or in-home care in your area, and adjust for ~5% increase per year (at least...this is above inflation, but health care costs increase at a higher rate). This amount should become part of your anticipated budget in retirement years. Then you have to determine if your projected retirement income (pension, SS benefits, distribution form your investments) can sustain this annual budget. Bojo, spend less than you make and begin a long term investment habit. Have an emergency fund and pay down debts. Track living expenses and see where you can reduce expenses. Think about your dreams and goals of what your retirement years will look like. If you don't see yourself working after a certain age then you must begin investing. There are a number of calculators to determine how much you need to save for financial independence. The first step is the investing habit. See if your current employer has a 401K plan where you can contribute to it automatically. The current median cost for long-term care is about $80k/year and 4 years is not an atypical long-term care stay so perhaps $320k, each and it would need to grow at about 5% per year. Possibly discounted some depending on your age but maybe not because increases in the costs of care may be the same or higher than the rate of return you might expect on your investments. I find that many clients who can afford to self-insure for LTC ultimately choose to transfer that risk to an insurance company so they don't have to set aside huge chunks of assets that they may or may not need. 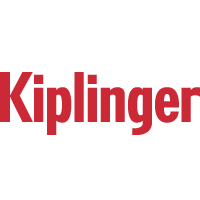 www.kiplinger.comYou can stash extra money in your retirement accounts starting anytime during the year you turn 50.
www.kiplinger.comYou can start contributing more cash to your IRA, 401(k) and other retirement accounts once you reach the milestone. Hi Bojo76. It's never too late! Start saving as much as possible now and take advantage of any possible match on a retirement plan, if available. Save until it hurts, and maintain and stick to a budget that includes setting money aside for savings. We're half way through, but there's still plenty of time to get your questions answered! Bojo. Don't beat yourself up. You are not doing all that badly. Start contributing to your employer's 401(k) plan if you have one. If not contribute to an IRA. Invest in a balance of stock/bond mutual funds. Build up your contributions until you are "maxing out". Like others have said, get rid of your debt as quickly as you can and learn to live below your means. Thank you to all of the advisers who have been with us for the past two hours. Joining us now are Richard Feight, Alice Rhodes, Bobbie Munroe, Donald Nicholson and Peter Ashby. Welcome! Thank you for your response. If I open a 401K with my new employer and then max it out each year, would this be enough to catch up for lost time? Are their any particular retirement funds/companies that you would recommend for my age group? I agree, your comfort in retirement is relative. You can only make it better from here. Starting with the 401k is good advice, and Roth and taxable investment accounts have important roles to play too. Saving in all 3 types of accounts is a good idea. Hi Bojo76, You've had some good suggestions here. Besides maxing retirement, the key to retirement is cashflow. Focus on making it fluid. In other words, dont' let debt and ongoing monthly expenses burden you in retirement. If you can have mortgages, credit cards, and other debts paid off, and minimize your monthly bills in retirement, you can actually live on very little. Couple that with Davids strategy of living below your means now and saving as much as possible and you'll be headed in the right directions. Hi, I'm Bobbie Munroe CFP, a NAPFA registered financial planner who works in N. Florida and Atlanta. I'm so pleased to be here to answer your questions today. My parents are now in retirement. My father is 75 and mother is 65. Father has been with the same finanicial advisor for many years. I haven't had a full view into my father's financial decisions in the past and don't have a great sense of whether the advisor has been doing right by him all along. I'd say 80% of parent's retirement is invested thorugh that adviser. My father has started to communicate with me more about this. I think he's nervous about retirement viability. He said he would welcome my helping him get a "second opinion." How do I do that? What type of professional would provide that type of service? How can I find them? David, many NAPFA (fee-only) advisors are willing to provide a second opinion on an hourly basis. Go to napfa.org and do a planner search. A second opinion is a great idea. You might look for a fee-only planner who works based on hourly fees who could review the entire situation. My wife and I have a 7 figure amount in Traditional IRAs She is 55 I am 58. We are currently in a 15% tax bracket. Any advice for distribution. Hi David, I would second going to www.napfa.org and searching for a fee-only Certified Financial Planner NAPFA Registered Financial Advisor in your area. Hi Ed, It depends entirely on your goals and if you have tax diversified assets in another account. If you're looking to minimize taxes from your IRAs you might consider converting some of the IRA up to a certain tax bracket until you reach 70 1/2 all the while living on taxable investments. This will require tax projections. If your goals are more joy orientated and you're just looking to enhance your quality of life, you might consider creating your bucket list and doing a plan to see the best strategy for a draw down. So... it depends. Ed, I suggest that if your tax bracket remains low until age 70, you should not wait to take distributions. Start when you are 59.5 and max out the 15% bracket yearly. Hi Ed, do you have a more specific questions about distribution? It is best to wait until you are 70 1/2 if you can, but if you need to withdraw now, that's an entirely different situation. Will all of this dialogue be available offline for review following the session? Thanks. Ed remember that even if you take the distribution, you don't have to spend it. You could just put it in a taxable account. It is always nice to have several different "buckets" of money. If you have earned income you can still make annual contributions to a Roth IRA with some of the money. I'm currently retired and my financial planner currently my IRA enrolled In 1% cash, 6% stocks/options and EFTs, 78% in mutual funds, 13% in equity trusts, and 2% in annuities. Both my wife and I receive pensions. Current IRA seems to risky. What would you suggest as an proper IRA mix? Thanks. Bob, are the mutual funds bond funds or equity funds? Hi Bob, that depends entirely on your risk tolerance. But you might ask your financial planner how much is in stocks or stock funds vs how much is in fixed income. That is what determines the risk level rather than whether it is in a mutual fund vs an etf vs stock. Bob, an IRA is just a type of account and it can hold anything. It is what inside it that may or may not be risky. Bob, like an earlier writer, you might benefit from a second opinion from a fee only advisor. Hi Bob, It depends on your risk levels, or how comfortable you are with your investments, and with where the ETFs, mutual funds, and annuity are invested. If you're uncomfortable, or you have the feeling in your stomach, you might be too risky. But it might also be needed for your plan. So it is probably a good time to review these things. Or re-balance back to your original investment plan. My employer just announced a new 401k plan featuring a company match earlier this week with details set to be released later this month. My question is this... I plan on moving next year to continue my education on the opposite side of the country so I know it is unlikely I will be employed there long enough to receive the full match. Should I still go this route or put my money into a Roth IRA through my bank, USAA? Hi Thomas, gosh, free money from your employer, no matter how short the time period is probably too good to pass up. And if you can also stash some in a Roth, that's a plus. Finally Bob, I suggest that you work with a planner on a goal funding plan. In my practice we use these to see how much risk a client needs to take maximize their probability of getting everything they want. Often they find that they can take much less risk that they are suited for emotionally and still reach all their goals. I explain it this way: You are the quarterback, you have the ball and a 2 point lead. There are 20 seconds on the game clock. Are you going to throw the ball or take a knee? Sometimes taking a knee is the best answer with finances too. Thomas, if it is a true 401K match you should get it through the time you leave. If, however, it is profit sharing, it may only be contributed once a year and only to the employees who are there at that time. Check your plan. I'm most confused on how to figure out how to plan for withdraws after retirement. I have about 15 more years before I'm 65 but don't know if I should be using a backdoor Roth to start building a tax free withdraw option or if there are other options I should consider. will make it easier to do tax planning in retirement.